Spending a lot of time copying information from emails into other applications, there is faster way. 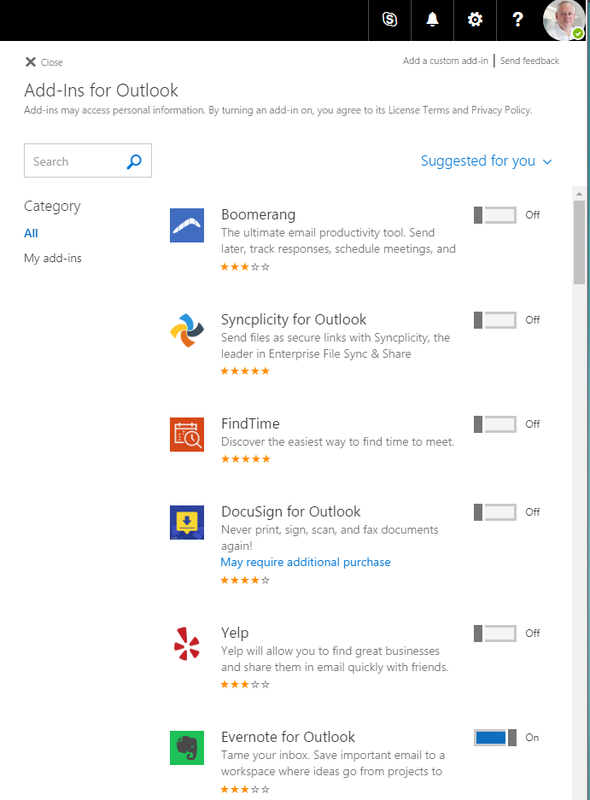 I use Office365 for emails and cloud-based services for other functions such as accounting, CRM and to do lists. I was spending too much time cutting and pasting information from emails into these services and thought there must be a more efficient way of transferring information. There is - by using Add-ins. What do they do - they transfer information from emails into different services. They may not transfer everything from the email, but it picks up key details and adding any remaining information that you need isn't difficult . 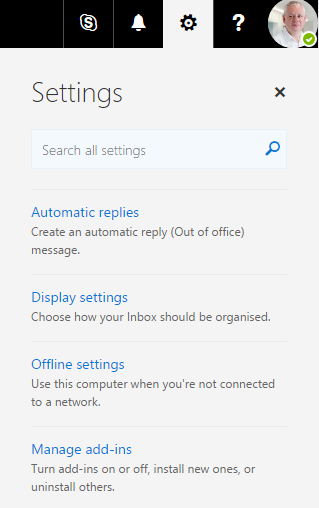 How do you use them - let's look at a simple example in Outlook web access (Outlook accessed from a web browser). Click the 'cog' in the top bar to open up the options. Click 'Manage add-ins' to show the list of add-ins. Select the ones you want to use by turning them on. In the example above, you can see that I have enabled Evernote. Use the Search box to search for add-ins, you may need to pay for some of them. Open an email with details you want to transfer. Your add-ins are shown at the top. 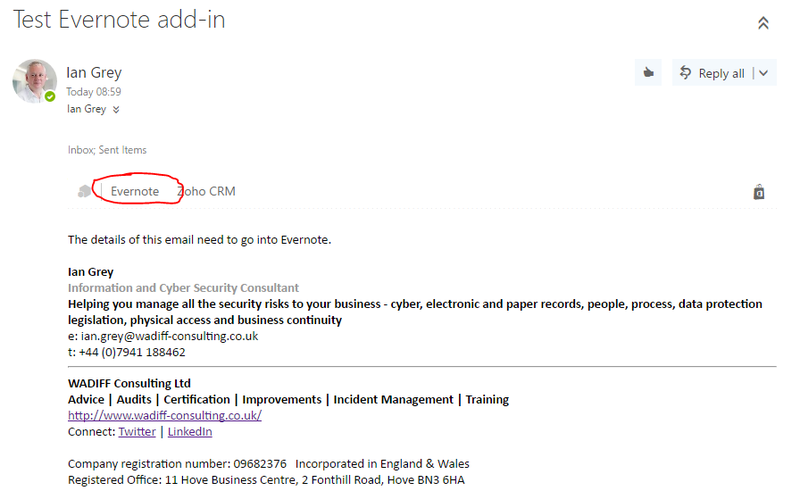 Click on the add-in name, in this example Evernote, and the add-in opens above the email. Take the required action. If you don't want to take any action click the add-in name a second time to close it. 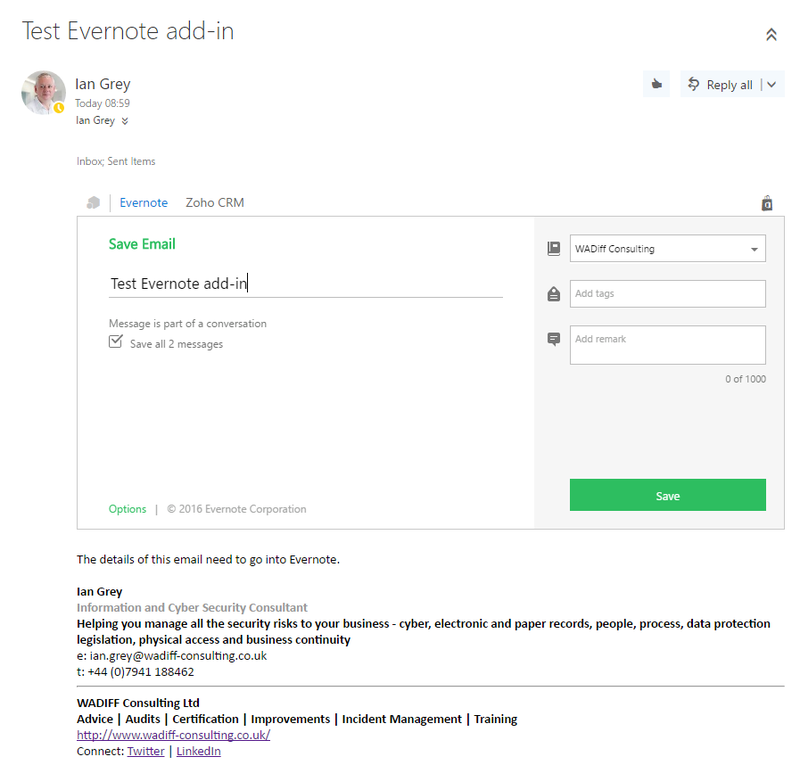 Great article from our Ian - if you want to see more about Office365 visit here.